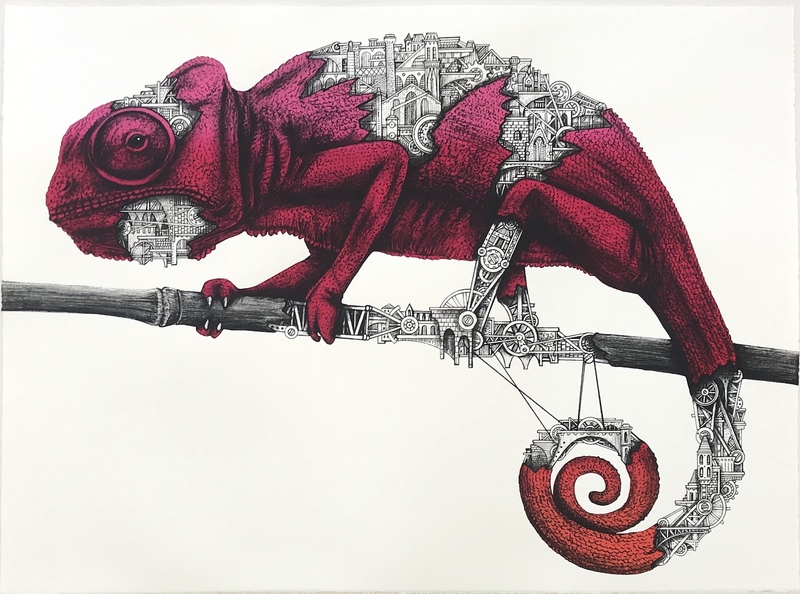 We are very happy to announce the release of ARDIF´s latest screen print "Chameleon Mechanimal"
There are three color versions from the chameleon. See more details below. Click to see the making of from the print production. Screen print on Somerset Velvet, hand pulled gradient print, all pieces are slightly different, 76x56cm. A few emerald ones left!